We all know that gaining success in life is not easy. Whoever tries to pick themselves up, there are hundreds of people who try to pull them down to their own level. That’s what the world really is. Unfortunately, no matter what career, what star, this devilish act by people comes their way! And the saddest part about this is that this action is performed by the people they know. This is precisely what the movie A Star Is Born teaches us. 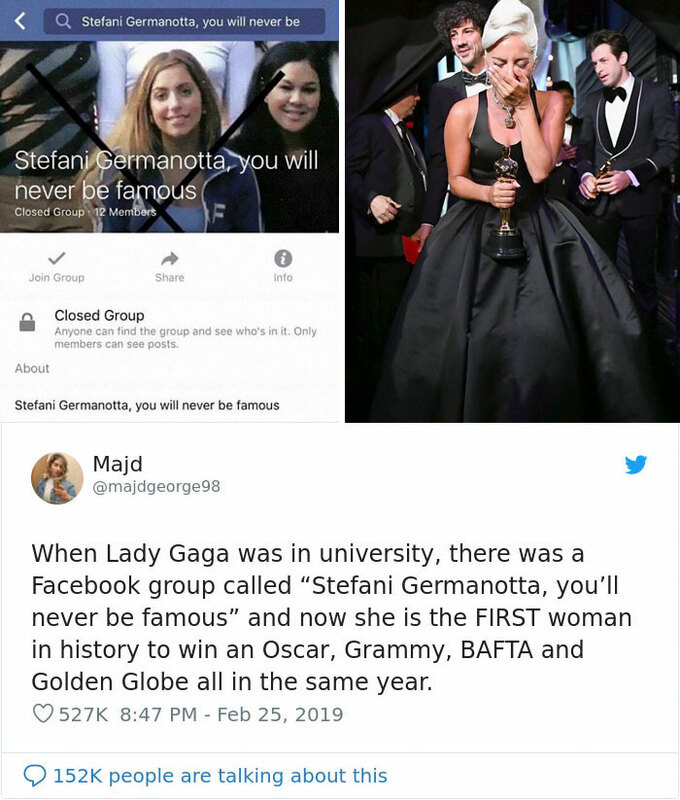 Once you’re done reading about this microsized facebook group, you will fall in love with the irony that comes with it, as well as Lady Gaga. A woman, Lauren Bohn, who was a freshman at NYC, found the group and brought it in front of the world with a breakthrough Facebook post. Scroll down and give it a read, I’m sure you’ll love it. Also, you’ll get to know a summary of Lady Gaga’s road to success! 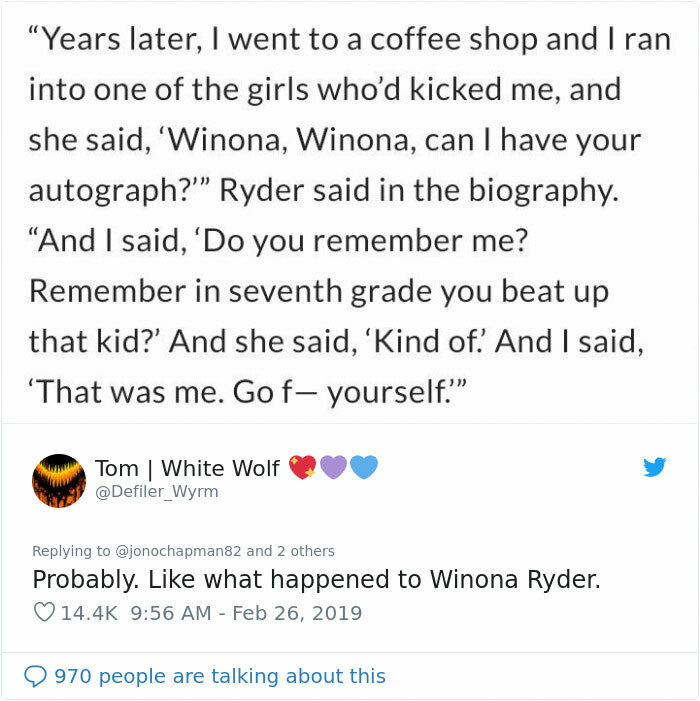 “I also remember one dude posting a flyer for one of her upcoming gigs at a local village bar. He had clearly stomped on the flyer, an outline of his muddy sole [soul] struggling to eclipse her name,” explained Lauren. You weren’t the only one with a broken heart, Lauren. Out of all the feelings, and the waves of emotions, gratitude was the only one Lauren could speak about. This is what she had to say. Here’s a summary on Lady Gaga’s road to success. Gaga’s college days were not really the days of her life. Lady Gaga’s college days were not the finest, as she had to face severe bullying. She was enrolled by her parents in an Upper East Side Catholic private school, known as, Convent of Sacred Heart. There she got a mouthful taste of the heartless kids. The “evil” started there. “What doesn’t kill you, makes you stronger”, I’m sure you’re well aware of the line. Even with the high burden of the hate, Gaga had invincible dedication. Lady Gaga got coaching from a renowned Coach at a young age. Gaga was an 11-year-old when she started to receive voice lessons from Don Lawrence, who was Christina Aguilera’s singing coach. Gaga didn’t let go of Don, even when her career took off, and that is very rare. Other than singing, she also took piano and acting classes. Just perfect, for that Oscar–winning moment. Lady Gaga wanted to be known. For that, she took huge steps! Lady Gaga got herself enrolled at the NYU Tisch School of the Arts. But Lady Gaga was a Free-Soul, she dropped out, wanting to start her own musical career. She was dead serious about it and took huge steps for it. Lady Gaga was known for her out of the box dressing. From her mighty sunglasses to her designer dresses, every detail complimented her music essence and got her through into the pop music industry. 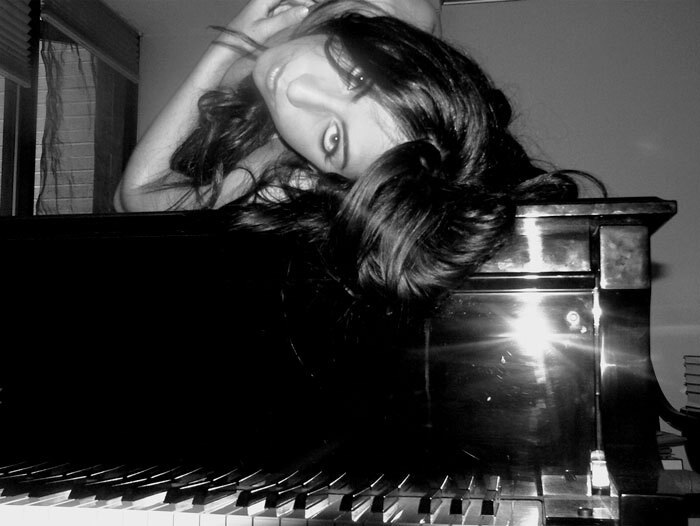 “I was classically trained as a pianist and that innately teaches you how to write a pop song,” – Lady Gaga. 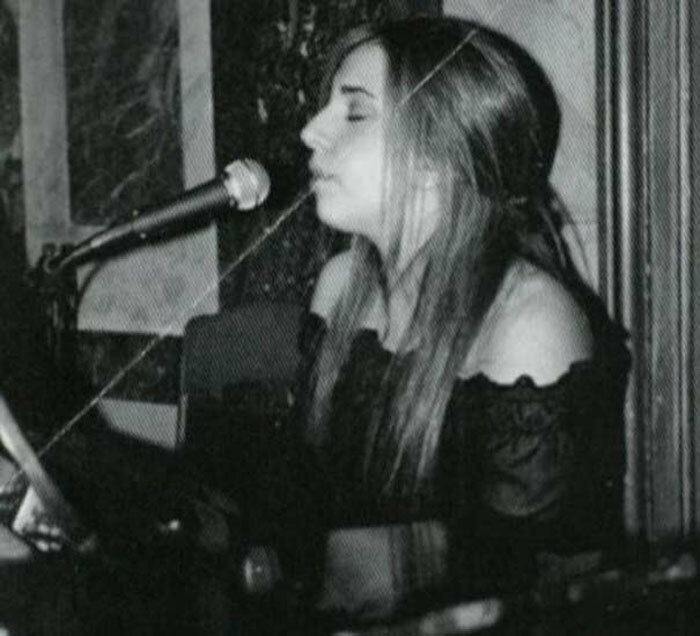 Gaga thought her being a pianist helped her in the singing. Gaga was 19 years old when the Def Jam Records signed her, though it didn’t last long as she didn’t suit them and the deal was off three months into the signing. Gaga was brought to Interscope records as a songwriter by her boyfriend, Rob Fusari, in 2008. Fergie, The Pussycat Dolls and Britney Spears were a few of the world-renowned artists who got their hits written by Lady Gaga herself. Akon then heard the reference vocal recorded by Gaga. He loved it, and nothing could stop him from signing her, leading to Gaga’s most significant break! The superstar, The invincible, Lady Gaga. Throughout her life, Lady Gaga has been through the worst, and nothing could stop her from achieving her dreams. She fought the circumstances she faced bravely. She was dedicated, and now, she has become a world-famous superstar. Lady Gaga has won 9 Grammy awards and was nominated for 24. 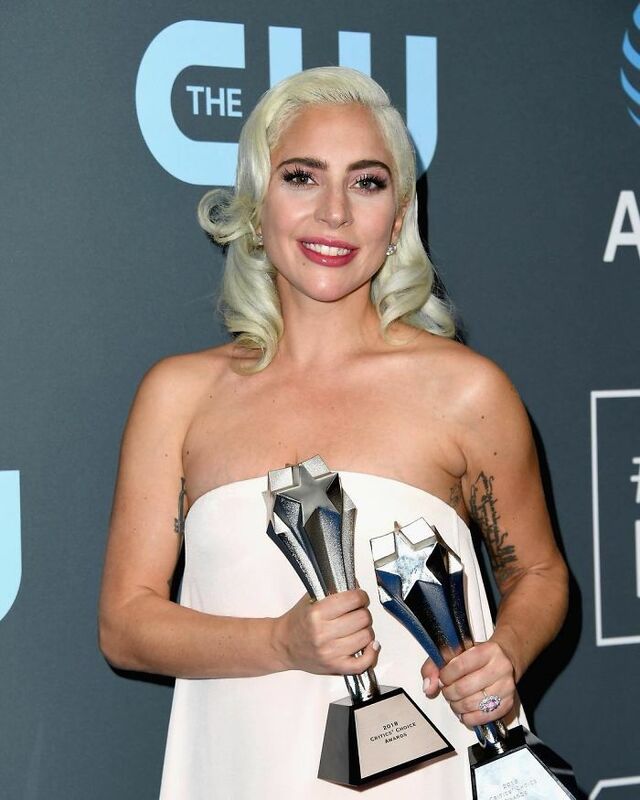 Gaga made her debut in the Film industry with the film, A Star Is Born, in 2018. Lady Gaga has something to say to us. “If you are at home, and you’re sitting on your couch and you’re watching this right now, all I have to say is that this is hard work. I’ve worked hard for a long time, and it’s not about, you know…it’s not about winning. But what it’s about is not giving up. If you have a dream, fight for it. There’s a discipline for passion. And it’s not about how many times you get rejected or you fall down or you’re beaten up. 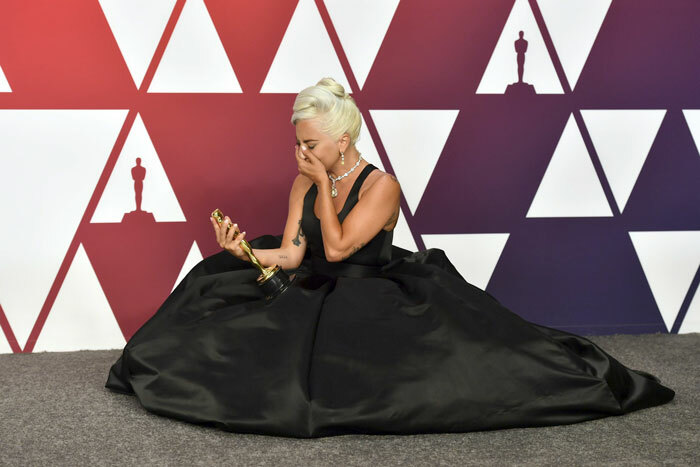 It’s about how many times you stand up and are brave and you keep on going.” – Lady Gaga. Just like you, the world had a lot to say about all this, here’s some of it. Not everyone is as lucky as you, Zeff. 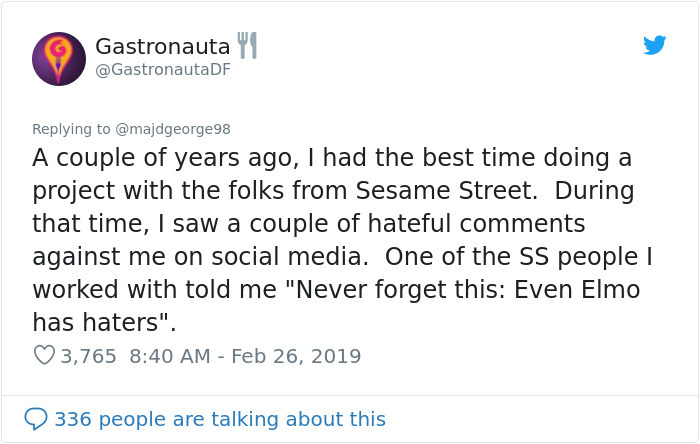 Sadly, even god has haters. That would have been a savage move! Your actions reflect your character. Success is never easy; to earn a fortune, you must lose something. But it will be worth the fight, I promise. You read it, what’s your take on this? Let us know in the comments below!